It is with great pleasure that I report Rina Gill is running for Surrey City council. Three Cheers! Rina is a local business woman who has been active in her community for many years. 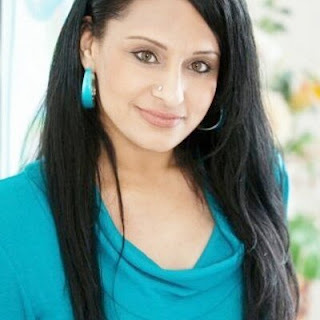 Most recently she organized a Surrey Health Expo and a Community Gang forum in Surrey. Rina was actually born and raised in Toronto. When she came to Surrey she was active in the South Asian business community and was introduced to politics though Sue Hammel and Bruce Ralston. Two iconic pillars in our community. That's when she ran along side Bob Bose for Surrey City Council. Rina speaks very highly of Bob. Coming from Toronto, Rina had no idea about the polarized politics that dominated Surrey for so many years. After Bob Bose retired, the Surrey Civic Coalition ceased to exist. Surrey First was trying to recruit Rina but Tom Gill wouldn't have it. Tom wanted to be the only South Asian on the team. Kinda weird how he then pissed off the entire south Asian community by voting for the mega casino on rural land when they staunchly opposed it. C'est la vie. Last election Rina joined Doug McCallum's Safe Surrey coalition which obviously raised eyebrows with her NDP friends and supporters. Some people just can't see past race, religion or creed. Again Rina had no idea about the polarized politics in Surrey. She said working with Doug was a great experience. She decided to run with Bruce Hayne this time because he didn't have past history like Bob and Doug did. She committed to working with Bruce before she knew Doug was going to run. That is why, even though I am supporting Doug McCallum for Mayor, I am also supporting Rina Gill for council. She is competent, genuine and sincere. Rina's motto is Loyalty, Bravery, Integrity. Unlike most other politicians, Rina embodies those values. Doug McCallum is considered right wing. Some of Rina's NDP friends simply cannot see past that. Laila Yule referred to a dark undertow within the NDP which is no different than Christy Clark's liberals. A lot of that undertow is dragging down the Surrey Community Alliance. Rina is not political in the dirty sense of the word. She is a politician like unto Chuck Cadman who genuinely cared about his community. Sadly Barbara Steele is not. Barbara Steele embodied everything that was wrong with Surrey First from the money laundering at Campbell Heights, to the dirty Casino on rural land to the road through Hawthorne Park and Hjorth Road elementary. Barbara Steel embodies arrogance and misrepresentation. Bruce Hayne has all that and more to overcome. Bruce Hayne claims that the first phase of LRT can't be stopped. That is simply untrue which automatically puts into question anything else that comes out of his mouth. My agenda is clear. I will support anyone that will stop the LRT on 104th and the road through Hjorth Road elementary and I will support anyone that will implement the New York Crime Reduction model. Rina supports Bruce for Mayor. I do not. That is one area we do not agree on. However, there are many other areas that we do agree on and because she is completely genuine, I wholeheartedly endorse her candidacy for Surrey council. It's time to come together and do what's right.